Latin Name : Chenopodium album. Indian Name : Bathua or Bathuwa. 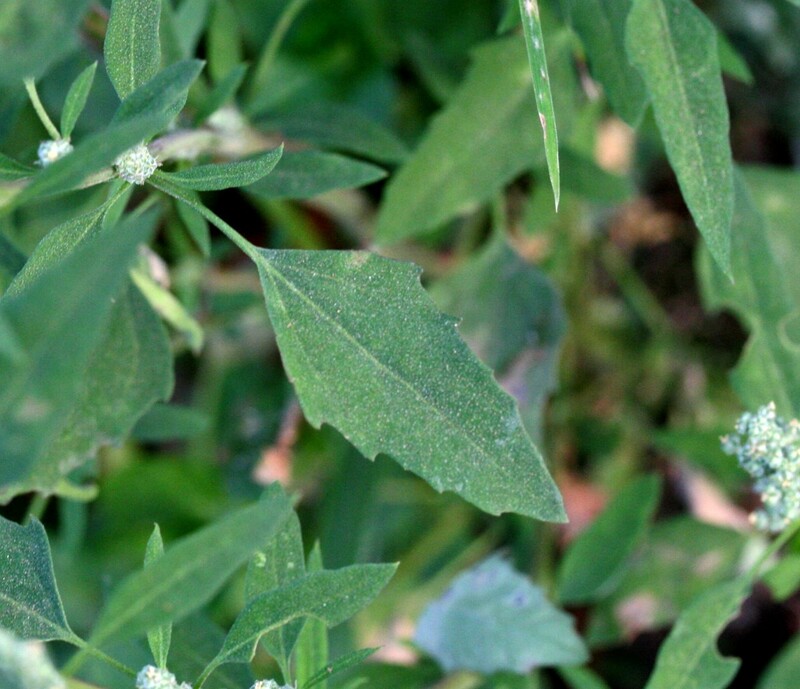 Common Names : Lambs quarters, white goosefoot, melde, pigweed, goosefoot, fat-hen etc. 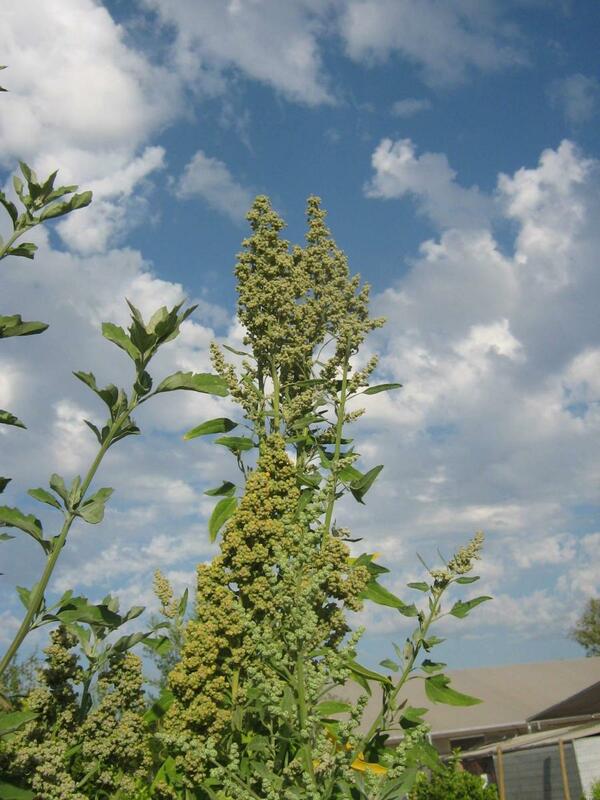 Pigweed is also a name commonly used for the plant Amaranthus albus. Also, goosefoot & fat-hen, also refer to the other species of the genus Chenopodium. 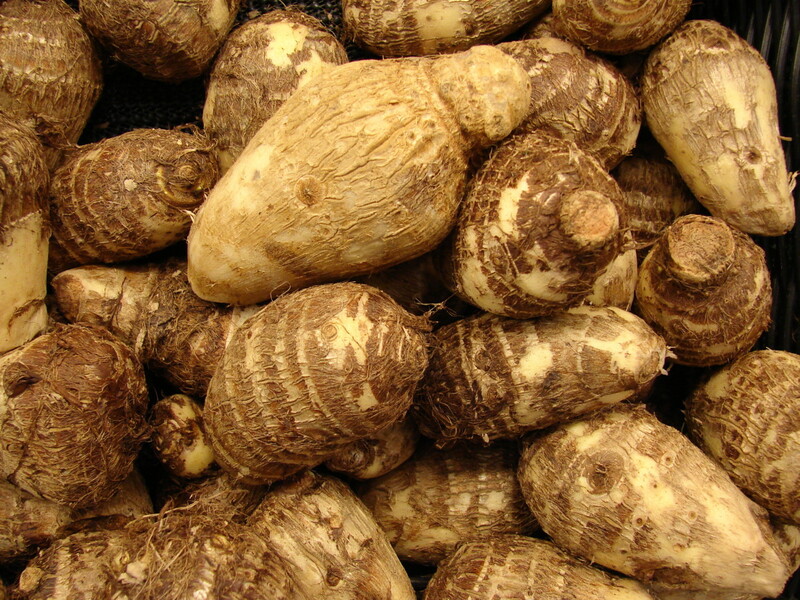 Bathua is a weed that produces lowered production in cultivated crops like soya bean, corn, sugar beets etc. A number of measures to control its spread, like tilling, hoeing, hand pulling, herbicides etc, are used by farmers to prevent it from affecting the crops. 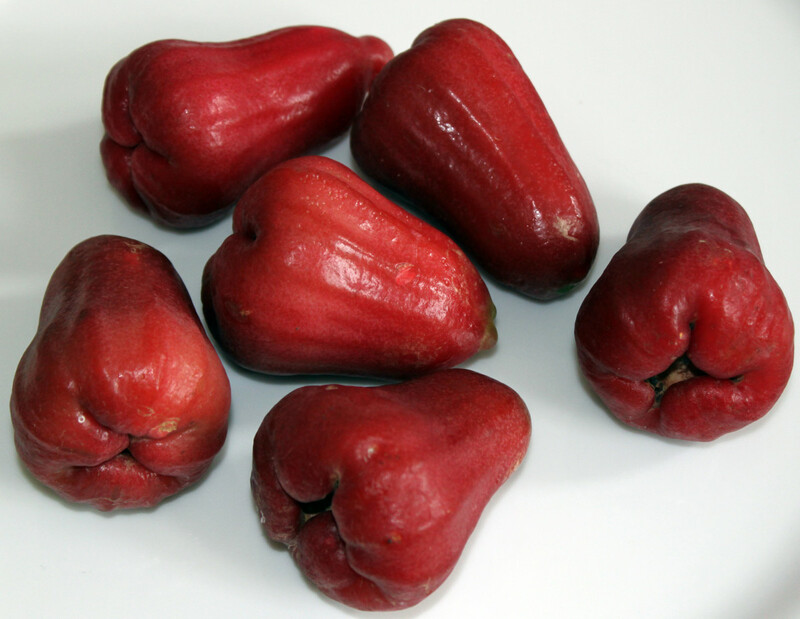 However, in Asia and Africa, bathua is cultivated both for its leaves and seeds which are used for human and animal consumption. Lamb Quarter Magentaspreen - Pkt. 500 mg. 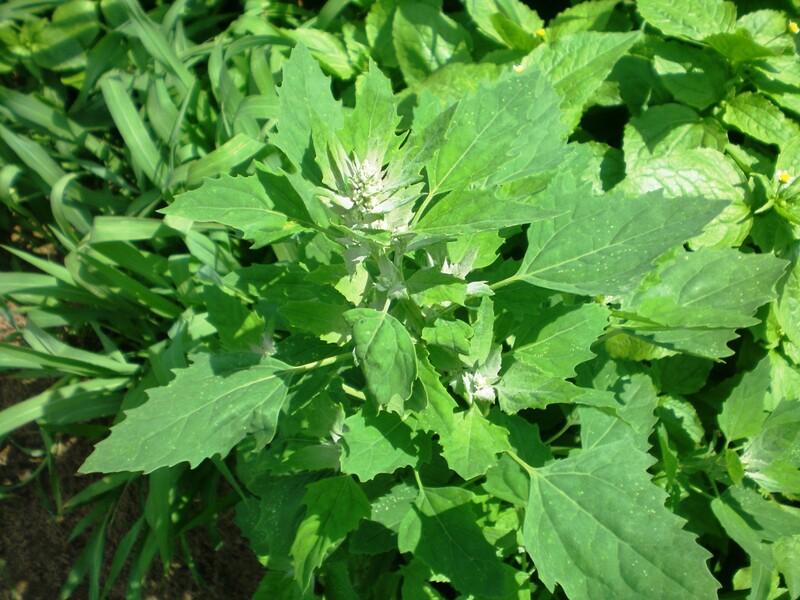 The bathua or lambs quarters plant grows from 3 to 5 feet tall usually having lanceolate or egg shaped toothed leaves that have a white coating on the underside as well on the young growing leaves.. The undersides and margins of the leaves are sometimes purplish while the stems are also purplish or having red stripes. The stems are grooved as well. The flowers are tiny, without petals and gray-green in color located at the tip of the branches in tightly clustered spikes. 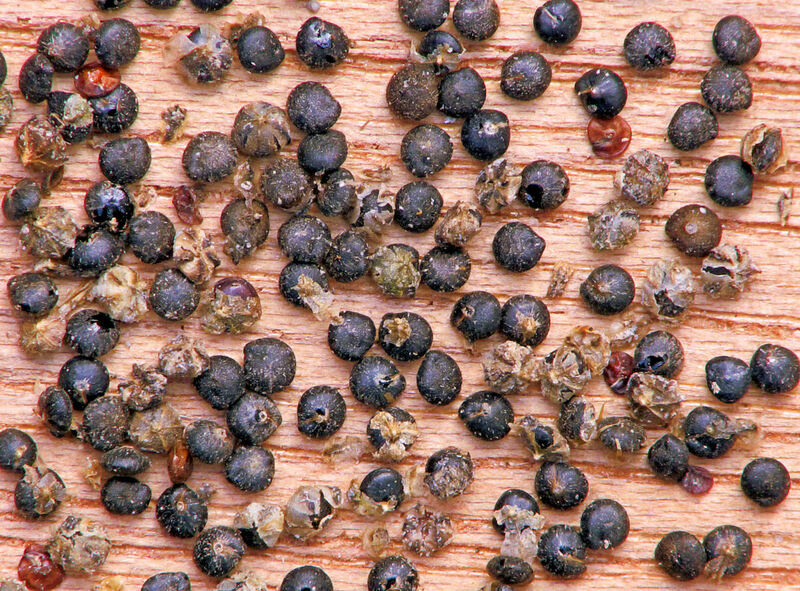 The fruits are tiny as well and produce tiny black or slightly larger brown seeds. Each plant produces thousands of seeds with an average of about 70000 seeds. The plant is a summer annual and the plant dies with frost. The leaves are edible and young leaves can be eaten fresh or they can be cooked or even added to other green leafy vegetables like spinach, mustard greens etc. In India, bathua leaves are added to mustard greens and these are cooked to make a vegetable. The leaves can also be used as filling for puff pastries or added to pancakes, pies, omelettes or to make a type of fried Indian flatbread called parathas. The leaves and also be added to yogurt. The leaves can be dried and used to make value added (nutrient rich) products like parantha and green gram dal. The seeds are used to make gruel type dishes as well as some mild alcoholic beverages. They are also used to make flour for making bread. Native Americans made a flour by grinding the dried flowers and then mixing this with other flour. Nutrients In Bathua Or Lambs Quarters Per 100 Grams Raw Leaves. Excellent levels of Vitamins A & C, 232% and 133% of the daily requirements respectively. Riboflavin 26%, pyridoxine 14%, thiamine 11%, niacin 6% and folates 8% of the daily needs. High levels of the minerals, manganese 39%, calcium 31% and good levels of the minerals magnesium 8%, copper 15%, iron 7%, phosphorus 7% and some zinc 3% of the daily value. Low in calories just 43 calories and low in sodium 2%. High in dietary fiber 16% and provides 8% protein. 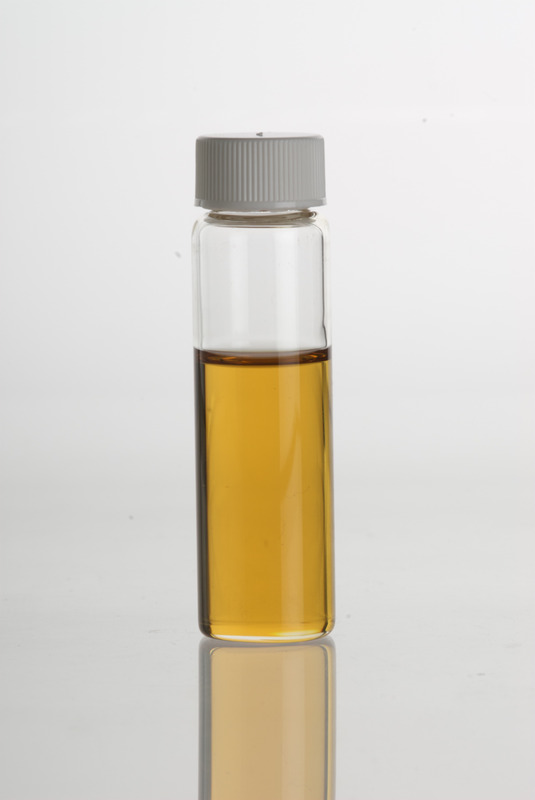 Also provides Omega-3 and Omega-6 fatty acids. The rich vitamin C content is very useful in treating scurvy. Bathua is also used to treat burns, intestinal problems, painful limbs etc. Bathua keeps the hair black as it has many vitamins and minerals far in excess of those found in Indian gooseberry or amla which is also used to prevent hair from going grey prematurely. Raw bathua leaves when chewed help in ulcers of the mouth, bad breath, pyorrhea, and other dental problems. Bathua relieves gas, constipation, improves appetite and digestion, reduces acidity, bloating. Eat bathua for a few weeks everyday for relief. For those who suffer from piles eating bathua twice a day, in morning and evening, gives a lot of relief. For enlarged spleen, boil bathua and sprinkle some black pepper and rock salt on it and eat. It kills intestinal worms in children if they are made to eat bathua regularly for some days. In case of irregular periods, take equal quantities of bathua seeds and dry ginger powder. Take about 15-20 grams of this mixture. Add to 400 ml of water and boil it till 100 ml of water remains. Strain, let it cool a bit and drink twice a day. In case of infections post delivery, take 10 grams each of bathua, ajwain or carom seeds, methi or fenugreek seeds and gur or jaggery. Mix all of these and eat. Do this for 10-15 days for relief. In urine infection, take juice of 10 grams of bathua leaves. Add 50 ml water and candy sugar to taste. Take daily. For cleansing the blood eat bathua with juice of 4-5 neem leaves. For jaundice, mix equal quantities of giloy and bathua. Then take 25 grams of this mixture twice a day. For kidney stones, grind the tender leaves and stems of bathua and take 10-15 ml of this juice daily with or without water. Bathua reduces swellings both internal and external. It can be eaten to reduce internal swelling and steamed bathua leaves can be applied externally to swellings to reduce them. To get relief in arthritis, drink 2 tsp of fresh juice of bathua leaves on empty stomach everyday for 2 to 3 months. Kindly Rate The Hub. Thanks. 3 years ago from From Mumbai, presently in Jalandhar,INDIA. Good to know my hubs have been useful in increasing your awareness of these healthy greens. Thank you for reading my hubs. Thank you for your pages. I live in the tropics where these plants, others mentioned in your various articles in your hub, grow. I am going to frequent my ethnic Indian green grocers now as I have seen these greens and others, now that I have learned more about them. Thank you very much. Of course, they are easy to grow in pots as well, Au fait. Appreciate your visit and sharing. Growing up on a farm these weeds were everywhere. When we had pigs they loved them and of course the weeds were plentiful. Had no idea they were so nutritious, but I guess that would be a good reason to feed them to the hogs. Now thinking maybe I should grow them in pots in my apartment! They grew quite readily where they weren't wanted on the farm as well as where no one cared, so they should do well in a pot don't you think? Voted up, useful and interesting. Will share! Thanks Peggy; for the read, votes, stars and sharing. Isn't it amazing what native peoples discovered to be edible. It was interesting reading about this weed which is purposely cultivated in other parts of the world and consumed for not only food...but the health benefits as well. I have never eaten it but would certainly try it if it was available. Gave this hub 5 stars, up votes and will share and pin. 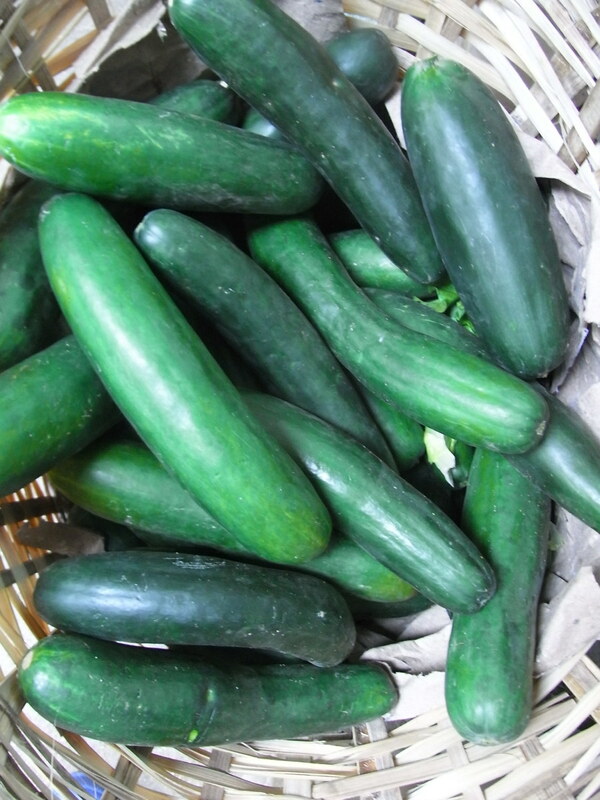 @Rasma- I think it should be easy to locate this green vegetable. Thanks for stopping by. 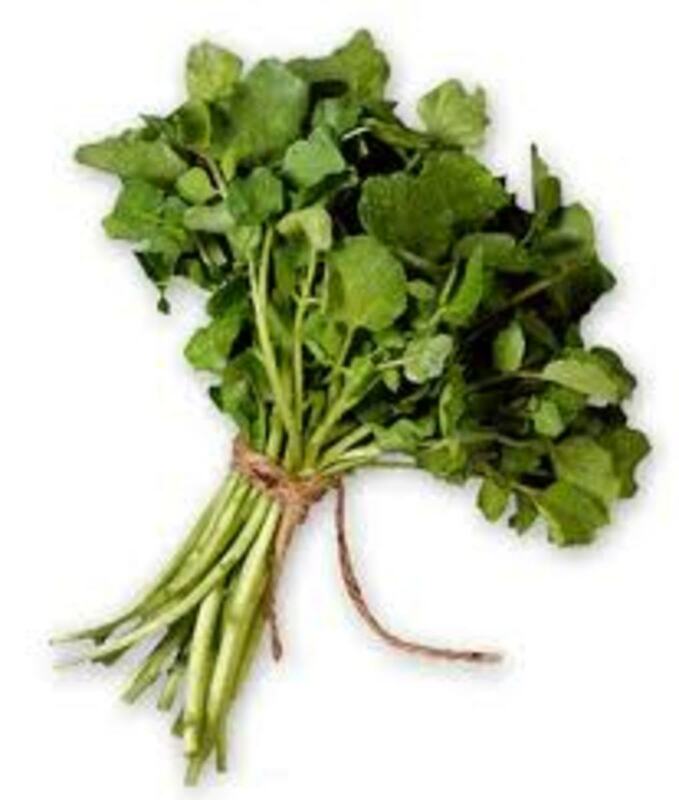 @Devika-it is an interesting weed with amazing health benefits. Good to see you. @Joe-thanks my friend and it always good to see you. @Carol-Glad you like these health hubs. Thanks for visiting and sharing. @Gagan-you are right. These parathas taste awesome. Appreciate the visit and sharing. My mom often makes Bathua parantha at home as it is very healthy & tasty too. I loved this hub. Love hearing about healthy new ideas. Never heard of this so I can add it to my growing knowledge list. Thanks for writing ..Sharing and voting up. Amen to what billybuc said above! Rajan, I've always marveled at what beautiful hair Indians have! Now, after reading this wonderful article, I have a better idea! Bathua is a wonderful plant, something that would probably be overlooked in my country. Thank you for teaching me about its value, just as you've masterfully done with so many of nature's gifts to us. A very interesting hub title and had no idea of such a weed and about the benefits. In Croatia we also have a certain weed that most of the local people eat and has many benefits, amazing how nature provides us with so many benefits. Voted up and useful. Thanks for sharing this informative and interesting hub. You know I hadn't heard of Lambs Quarters but I'll find out the translation. I think we have something similar here. Great to know the benefits and that it can be used in recipes. Passing this on. Most greens are immensely healthy and this is one weed that offers a lot of health benefits. Thanks for stopping by, catmalone. Great Hub! Bathua seems like it covers a lot of health benefits. I like the benefit of Bathau keeping the hair black and preventing premature greying. Very informative and useful hub. Thanks for sharing! I'm humbled by these comments coming from a writer as excellent as yourself, Bill. It's been my honor to read your hubs and get inspired in more ways than one. Of course the information is useful and informative, but what also strikes me about your hubs is the fact that you are a very good writer. When one writes articles like this one, often times what goes unnoticed is the quality of writing. You, Sir, are an excellent writer.